If you really love dogs, you might want to consider a career working with these beautiful, sweet animals. There are a lot of different jobs with dogs out there, so you have plenty of options. Want to learn more about the best jobs with dogs? Here are just some of the careers to choose from if you want to make the commitment to work with dogs on a full-time basis. 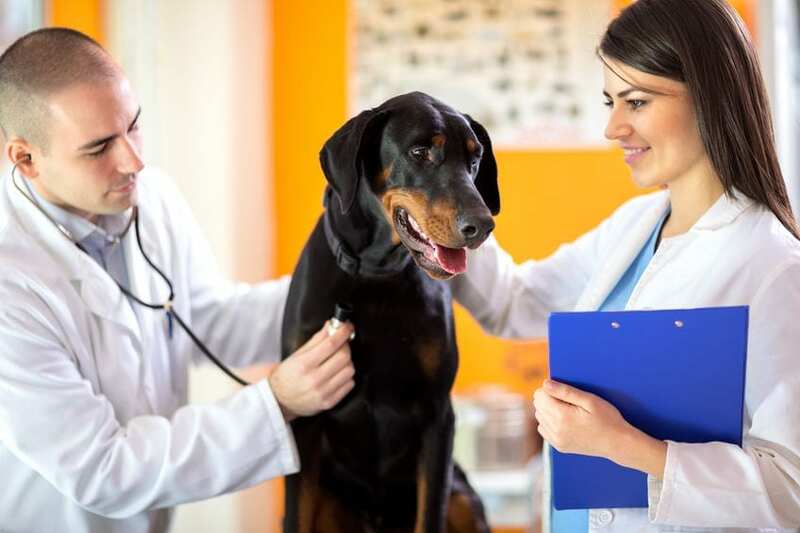 Veterinarians put in a lot of time before they can work with dogs, or any other type of animal. They must first earn a four-year college degree, and then, they’ll put in another four years at a veterinary school before they can start a practice. 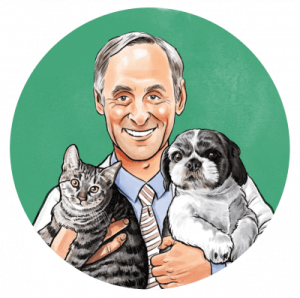 Some vets will specialize in various areas of animal medicine to broaden their skills. This, of course, will require more training.1 But if you love to help animals, this is probably the best career you could choose. A lot of people have dogs, but they also like to travel. And, unfortunately, there are many times where pet owners simply can’t take their dogs with them when they leave town. Instead of asking friends, family members or neighbors to check in on their dogs while they’re gone, a growing number of pet parents are turning to dog sitters. A dog sitter is a great alternative to a kennel. A sitter can come to your home several times a day. In some instances, sitters can stay – either overnight, or for several days in a row, if necessary. Of all the jobs with dogs, pet sitter is one of the most important. You’ll get to take care of dogs, while giving their owners peace of mind. Like many jobs with dogs, the amount you make can vary. The average salary for a dog trainer, however, is about $30,000.8 But that doesn’t mean you can’t make much more if you have a large number of clients. Dog groomers will usually go through some sort of apprentice program, which will usually take about two months. This is where they will learn tasks such as bathing dogs, clipping their nails, cleaning their ears, and trimming their fur. Some groomers will go through certification programs to show they have the skills necessary to perform this type of work. 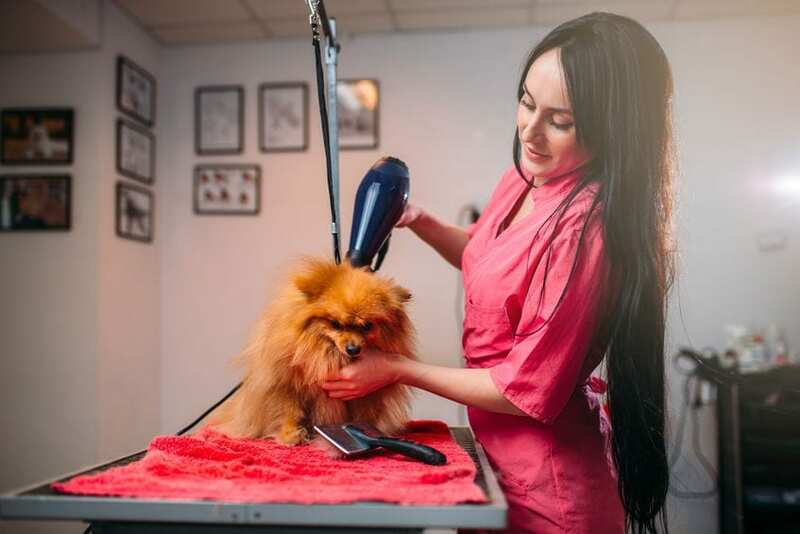 If you become a dog groomer, you might work in one of several different places. For example, you might find a job in a pet store, a kennel, a shelter, or a vet’s office.9 You’ll need a fairly broad skill set if you want to make this your career, but you’ll be making dogs look great. Being a dog walker is great if you love dogs and love exercise. You can make a little bit of extra money walking dogs in your neighborhood, or you can make it a career. As time goes by, you might even be able to start your own business, hiring other walkers as your client list grows. 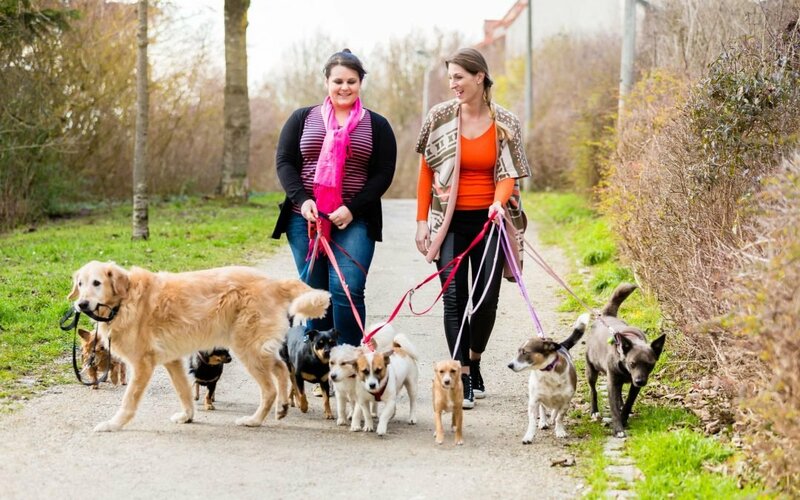 The average salary for a dog walker is about $25,000.11 But that number can grow substantially as you bring in more business. These are just a few of the jobs with dogs that you might want to investigate if you’re thinking of a career working with animals. There are a lot of rewarding, fun careers for you to choose from. You might want to consider volunteering at a local animal shelter, to see if you think this line of work will be right for you.